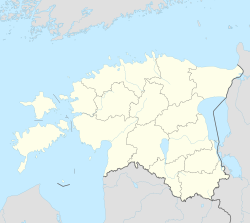 Põltsamaa (German: Oberpahlen) is a town in Põltsamaa Parish, in Jõgeva County, Estonia. The town is situated on the Põltsamaa river, and features a 13th-century castle. Wikimedia Commons has media related to Põltsamaa. This Jõgeva County location article is a stub. You can help Wikipedia by expanding it. This page was last edited on 22 June 2018, at 13:40 (UTC).